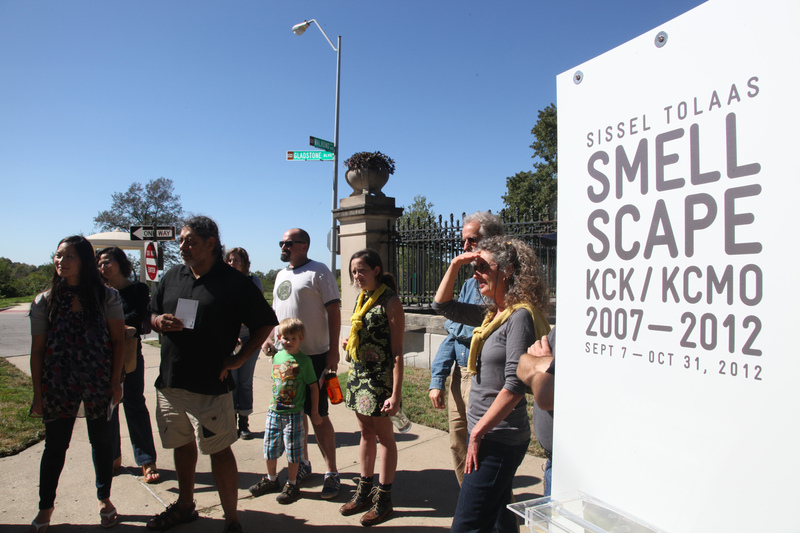 The opening for Sissel Tolaas’ SmellScape KCK/KCMO 2005-2011 went off without a hitch! In addition to our usual opening event at Grand Arts, we also held opening events at the Kansas City Kansas Public Library and Kaw Point Park, two of the many fantastic collaborators with whom we worked on the SmellScape project. 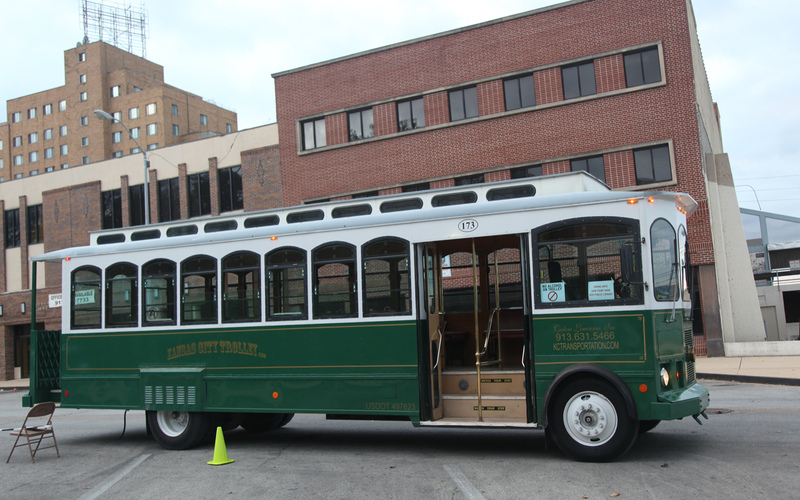 Trollies shuttled gallery goers between Grand Arts and our satellite locations. 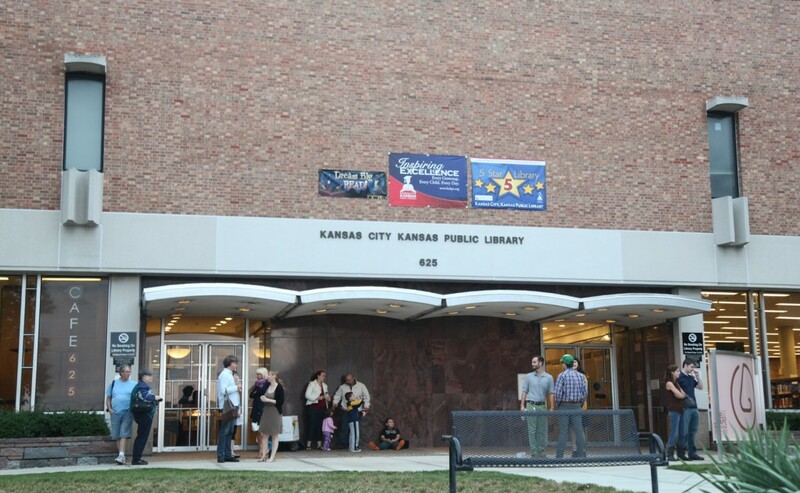 The Kansas City Public Library's Central Branch graciously hosted a reception there with a special lecture by Sissel Tolaas. 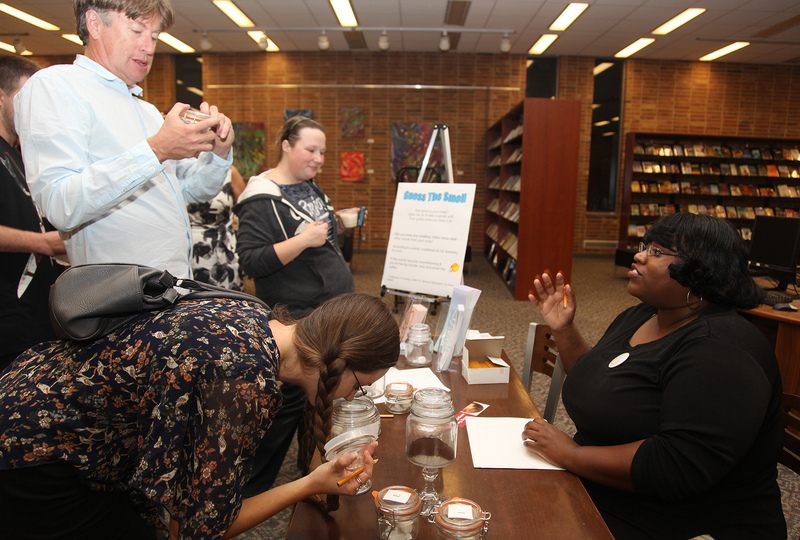 The library had even set up their own smell game for visitors to play! 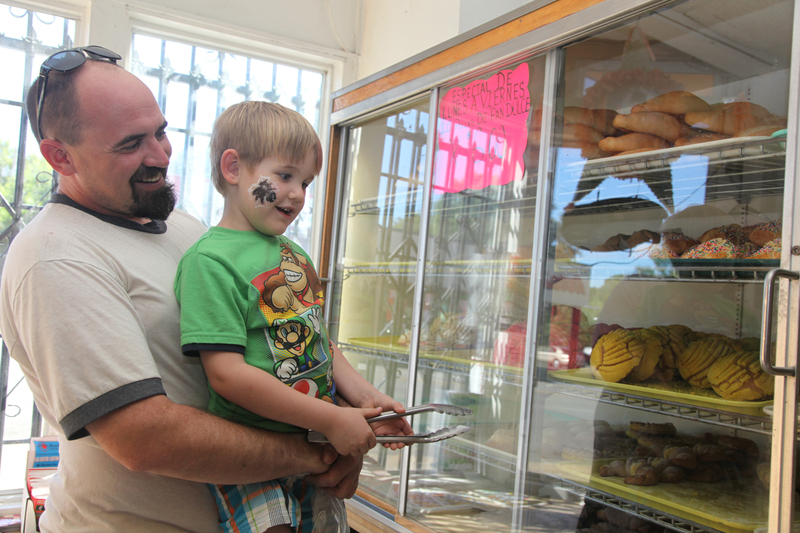 SmellScape collaborator La Michoacana provided delicious paletas for visitors to enjoy. 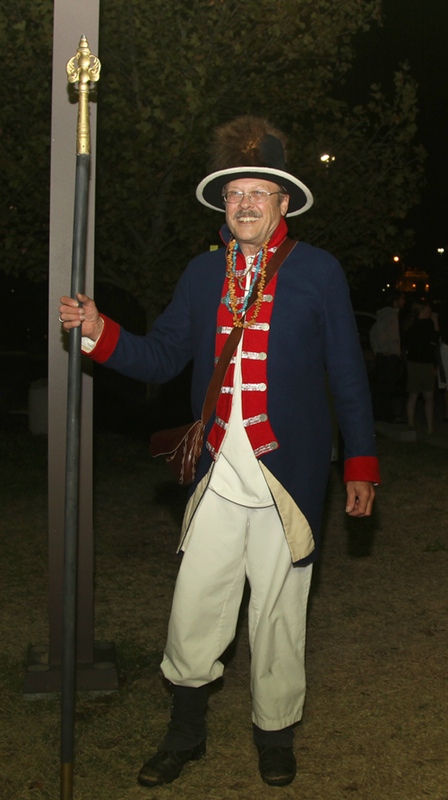 Kaw Point Park was lively with activity, including Lewis and Clark reenactors and Kurt Flecksing's fantastic S'mores Cart! The following Saturday Sissel talked about her work and its relationship to the psychology of smell before leading a walk with local artist and poet Jose Faus. Starting at the City Museum, Sissel and Jose took the group on a fascinating walk around Kansas City's historic Northeast to discuss understanding neighborhoods using one's nose. 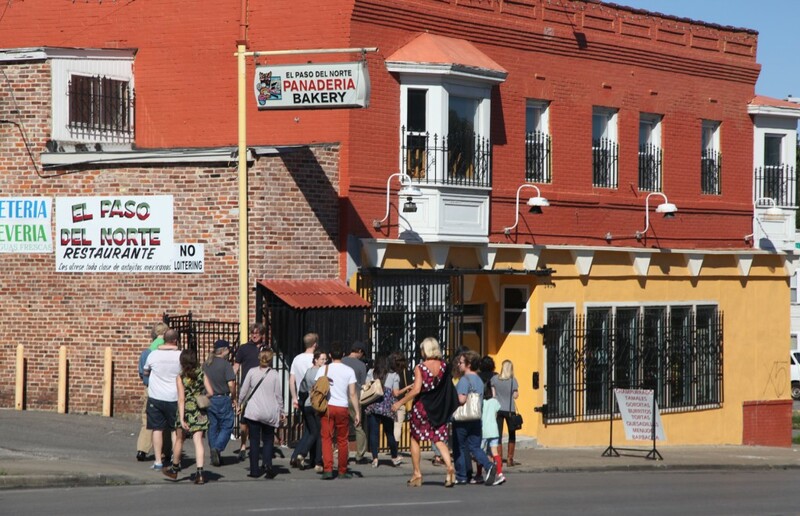 The walk was capped off with a drop in at El Paso del Norte Pasteleria, where many delicious Mexican pastries were consumed by the walkers! 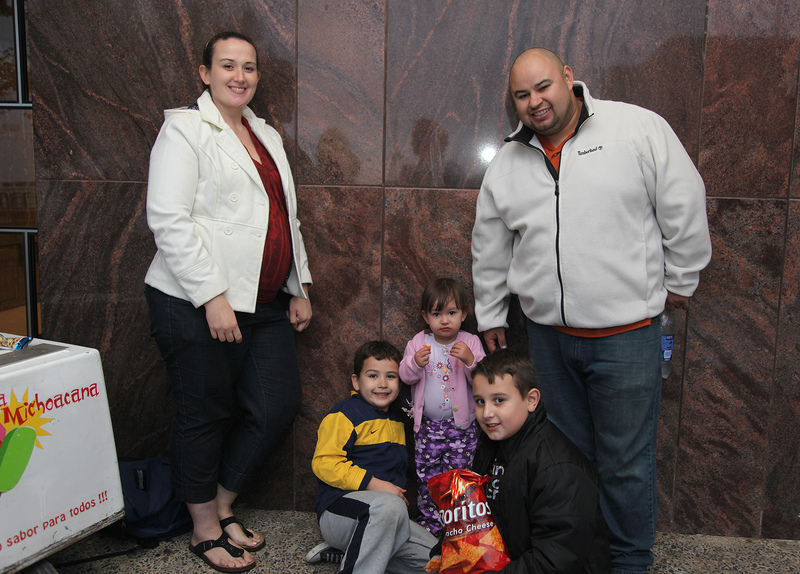 We wish to thank all of those who turned out for these opening weekend events. 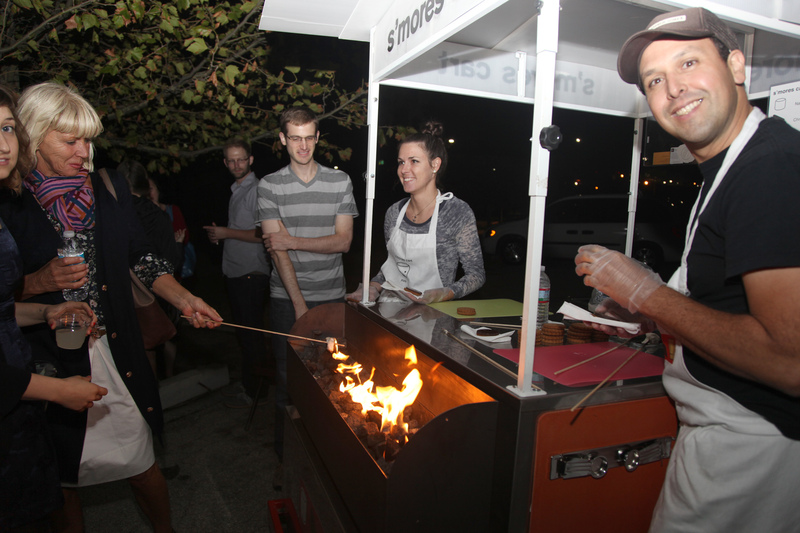 It was a great privilege to have Sissel in town to host these activities, and we were excited to see so many come out to participate! Thank you all for bringing your curiosity with you to learn more about what the nose knows! Special thanks to Megan Mantia for taking all the photo documentation.